Ally1 specializes in mold removal in the Southern Utah area. 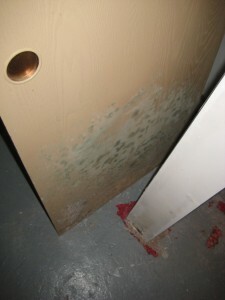 If you think you may have a mold problem the first thing you should do is have a professional inspection. Mold may be harmful to the health of you and your family and special precautions should be taken when dealing with mold. Remember: You should never touch mold with you bare hands and trying to remove it yourself can lead to further problems. It is possible to release the mold into the air, making the problem worse. The simple answer is YES. Molds produce allergens, which can cause reactions in people who are allergic to mold such as sneezing, runny nose, red eyes, and skin rash. Mold can also be dangerous for people who have pre-existing health conditions such as asthma or lung disease. If left untreated mold in your living area can be dangerous for the occupants.